PIMAX's $3m Stretch Gift Unveiled- Exploring New Innovations With The 8K VR! 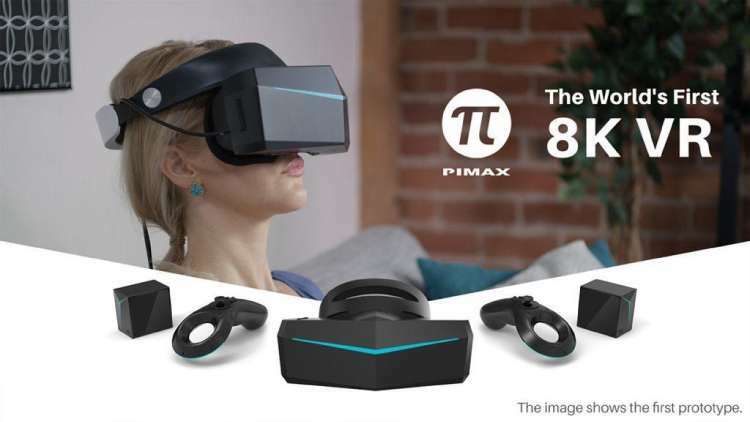 PIMAX, a Chinese Virtual Reality Head Mounted Display(HMD) manufacturing company that produced the first 8K headset in the market has shipped more than 30.000 units and this company definitely knows how to produce headsets as Virtual Reality has never looked this good! This 8K Virtual Reality headset proves to just be a starting point for all DIY enthusiasts as with this great modular design in mind, Pimax 8K is made to be an extendable device that not only works with your current accessories, but also allows an easy implementation of new technologies that include eye tracking, hand motion and much more. Two 3.5 mm audio jack that includes stereo sound earphone and an integrated microphone. The Refreshed rates of 75 and 90Hz per eye, or 150 and 180Hz with Brainwarp. And to top it all, Pimax 8K now also Surpasses Oculus Rift and becomes the Top VR Headset Kickstarter Project, with almost $2.5M that has been Raised So Far. The Chinese company that stands on the shoulders of the giants with a valid product in hand has reached an arguably important milestone by surpassing the original Oculus Rift Kickstarter and therefore, and is now known as the top funded VR headset campaign in existence. 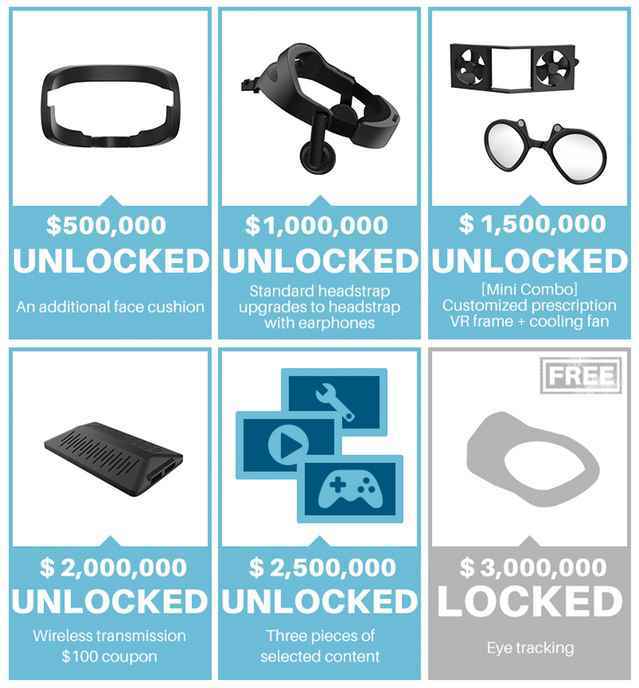 And again, never failing to catch the eye of all the VR Enthusiasts, with the unlocking of this stretch goal of $2.5m(Almost There), PIMAX unveils to us its addition of an Eye-Tracking Module that would mean even higher frame rates with no extra charge at a Stretch Goal of $3m! With the speed that PIMAX 8K VR is moving forward with, How long do you all think will Pitman take to cross this stretch goal as well? So, for all the futurists out there, you can now explore new innovations with this Modular Designed 8K VR free of cost! 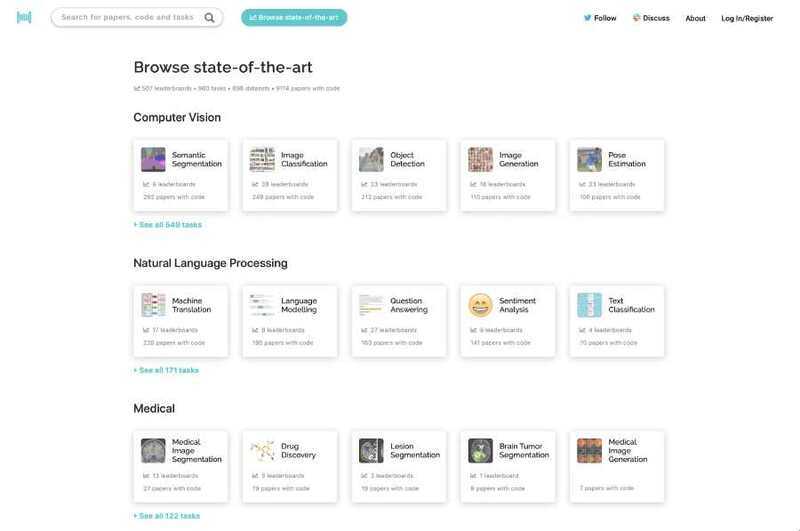 Now, All that remains to be seen is if PIMAX can craft the obvious interests of the customer into a business that will in return make them the next big thing in the world of VR, and we will know that soon enough.